The Tar Heel freshman was suspended by the university and cannot play ball or attend classes. 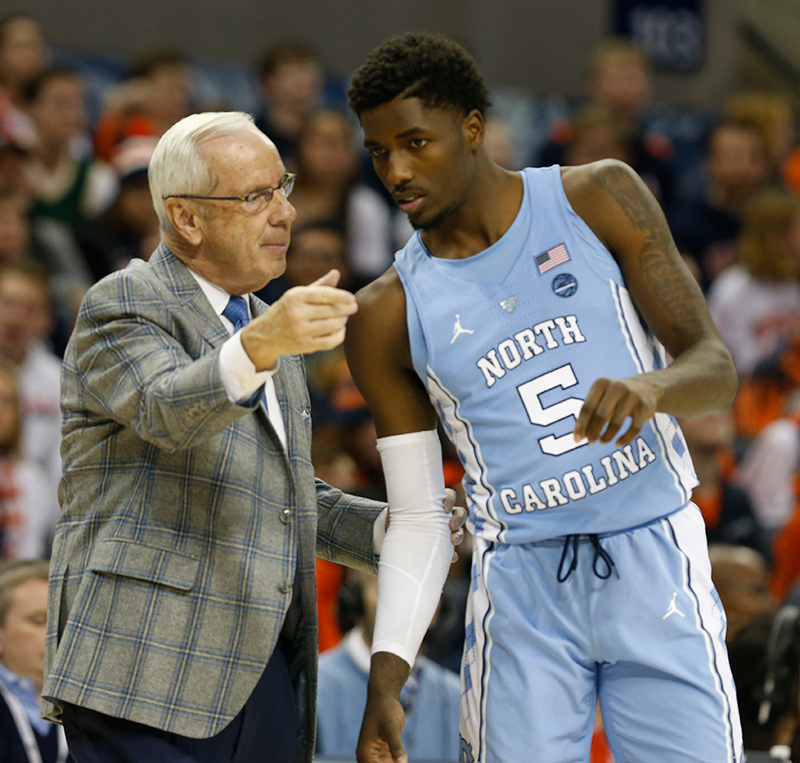 CHAPEL HILL, NC (WTVD) -- On Tuesday, the University of North Carolina suspended freshman guard Jalek Felton from the school, including his eligibility to participate in any university activities. Because of federal privacy laws, UNC officials cannot comment on why Felton was suspended. "Jalek Felton is an extraordinary young man and an exemplary student athlete at UNC," his attorney, Kerry Sutton, said Tuesday in a statement. "The support he's getting from UNC fans and friends today means the world to him. We will get him back in class and back on the court where he belongs as soon as we can." Felton, a West Columbia, South Carolina native, has played in all 22 games this season. UNC head coach Roy Williams talks with guard Jalek Felton (5) during the second half of an NCAA college basketball game in Charlottesville, Va., Saturday, Jan. 6, 2018. He is averaging 2.9 points and 1.6 assists per game. UNC announced the player's suspension hours before the team was set to play Clemson on Tuesday night. The Tar Heels went on to lose to Clemson, 82-78, for their third consecutive loss.